Almost twenty years after forbidding him to contact her, Vita receives a letter from a man who has long stalked her from a distance. Once, Royce was her benefactor and she was one of his brightest protégées. Now Royce is ailing and Vita’s career as a filmmaker has stalled, and both have reasons for wanting to settle accounts. They enter into an intimate game of words, played according to shifting rules of engagement. Beyond their murky shared history, they are both aware they can use each other to free themselves from deeper pasts. Vita is processing the shameful inheritance of her birthplace, and making sense of the disappearance of her beloved. Royce is haunted by memories of the untimely death of his first love, an archaeologist who worked in the Garden of the Fugitives in Pompeii. Between what’s been repressed and what has been disguised are disturbances that reach back through decades, even centuries. But not everything from the past is precious: each gorgeous age is built around a core of rottenness. 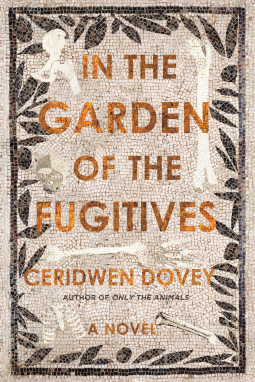 Profoundly addictive and unsettling, In the Garden of the Fugitives is a masterful novel of duplicity and counterplay, as brilliantly illuminating as it is surprising—about the obscure workings of guilt in the human psyche, the compulsion to create and control, and the dangerous morphing of desire into obsession.